Too bad. It’s a name to know. Tour Edge is headquartered just outside Chicago, making it and Wilson probably the last golf equipment companies from that part of the country. (Once upon a time, Chicago was home to Ram, Northwestern, Tommy Armour, and MacGregor, among others.) There is something wholesomely Midwestern about a number of Tour Edge products, which are solid, dependable, and well priced. However, the really interesting pieces, most in a line called “Exotics,” are as innovative and exciting as anything to come out of Southern California or the Far East. And also at very good prices. The latest are a driver (left) and fairway wood (below) both labeled XCG-4. 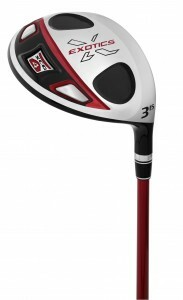 The driver, which I had the chance to hit a few weeks ago, is a powerful combination of a lightweight head and extra-long, very lightweight shaft. As with previous XCG models, innovations in materials allow for tweaking weight in the clubhead. This time the face and sole are titanium while the crown is an ultra-lightweight carbon, also used in two sole inserts. There are two tungsten weights in the sole as well, and it is the placement of these pieces that allows 27 grams to be moved to low and back in the head to improve moment of inertia by more than 15% over earlier versions. That results in longer shots even on off-center contact. The XCG-4 also has a very curved sole that minimizes drag as it swings through the air, plus what the company calls a “Boomerang” face that varies the thickness of the metal to maximize the rebound effect at impact. But the most obvious feature is the super-lightweight shaft, 45 grams and 46 inches long. The entire club weighs only 276 grams and is incredibly easy to swing despite its length. I was booming drives on the range. (Unfortunately, I wasn’t able to test it in actual play but I will and can’t wait.) There’s also a slightly heavier—310-gram—version available. Both retail at $329. The head of the fairway wood has a heavy tungsten sole plus a titanium crown and titanium face fitted with an insert made of a different titanium (for more energy at impact) and incorporating the Boomerang design. The radiused sole allows it to work from all sorts of lies. Once again, the company guarantees the XCG-4 will hit the ball longer than your current fairway wood. It retails at $299. 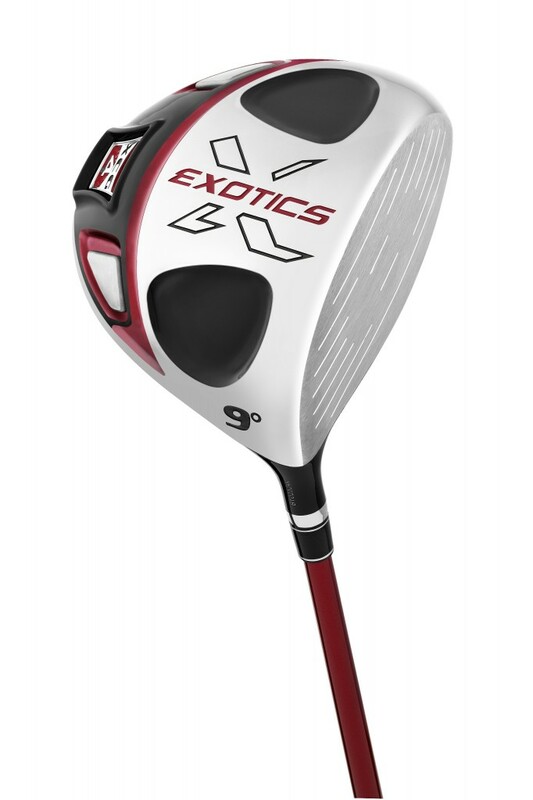 Check out the Tour Edge and Exotics websites for other club models at a wide range of prices. Many will make great gifts for new golfers and juniors, at prices to match. Tour Edge and Exotics: Can’t say you haven’t heard of them now.